Every year, we award two prizes to graduating students for their exceptional academic work. 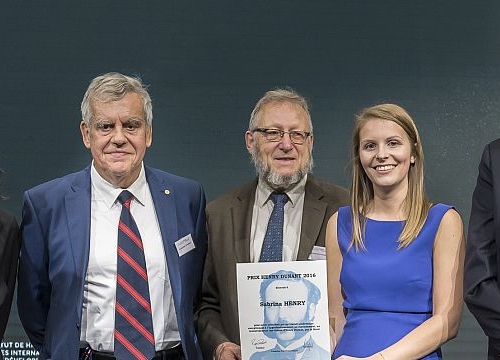 The Henry Dunant Prize, worth 5,000 Swiss Francs, is presented to a member of the graduating class for an original and didactical LLM paper that deepens, strengthens and renews the ideals and commitment of Henry Dunant. Through this award, the Henry Dunant Prize Foundation and the Geneva Academy motivate young people to disseminate knowledge on international rules that protect victims of armed conflict and states of emergency. The Best LLM Paper Prize distinguishes a graduating student for an LLM paper of exceptional academic quality.